**We ask that work be either ABOUT or WRITTEN BY women. So yes, we will accept submissions from men so long as they are about women or women's issues! Please send only your very best work. Make sure you believe it is something worthy of publication! We will not accept just any old thing, we are seeking talent, vision, something off the beaten path...interesting and empowering works! We accept short stories, flash fiction, short memoirs, short personal narratives, six sentence narratives and nonfiction works on women's issues. Please keep literature submissions at 2,000 words or less! Send 1-6 pieces of your best work. 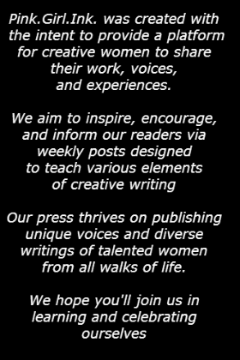 We accept poetry and prose on just about anything pertaining to women and women's issues, voices, experiences, erotica, everyday life, relationships, dreams, and so on. Pretty much poetry of any topic, written by women. Or poetry about women. Please send 1-6 pieces of poetry. Please send 1-6 pieces of artwork ATTACHED to the email, NOT copied to the email. Anything you feel pertains to the life of a woman and what it means to live as a woman. Think in terms of the life of a woman artist, a woman writer/poet, living as a stay-at-home wife or a working mom, or a single business woman. The single lifestyle, married life. Maybe you have insights or a story/interview to share about homelessness in women, or women's issue like prostitution, or the life of a stripper, etc. We want insights into things beyond the norm. Maybe we want the norm more deeply analyzed. Make us feel, think, breathe more deeply. Inform and entertain us. Make us think! How about your life roles and expectations? Your dreams and limitations? Just about anything goes here. Just make sure it is in INTERVIEW or ARTICLE format. Any other format should go under LITERATURE. Send 1-6 of your best articles. Tell us about your spirituality and/or religion. Any religious lifestyle goes. We want to be informed, we want to learn, especially if it affects women or could help women. Teach us how to live more deeply, cherish the moment, and live more fully through a spiritual practice or idealism. Anything from organized religion to buddhism to new age ideas are welcome. Inform us of advantages and disadvantages of religion in another culture. Tell us about the women's issues involved. Educate us! Please make sure your piece is written in ARTICLE or INTERVIEW form. Send 1-6 of your best pieces. This is a touchy category. I want this zine to be empowering for women. I want articles on health and beauty to allow us to love ourselves as women (societal flaws, curves, pounds, and all). Please DO NOT send articles about how to get rid of wrinkles, how to lose weight or get skinny, and blah blah. I want the OPPOSITE of what you'd find in magazines like Glamour. I want us to be led to love each other and ourselves more deeply, as women. Send pieces about unconventional beauty, style, and health. Inform us of your Vegan lifestyle or what is so healthy about the hippie commune you lived in for six months. Tell us why you celebrate your curves and love your body just as it is. That type of thing! If you have recently read some women's literature and would like to send us a copy of a book review for a book you have read and would enjoy sharing with other women, we'd be more than obliged to spread the word. The book could range from anything between a narrative to a piece of fiction or a book of poetry so long as it fits into a category for women. Please don't send reviews for things like harlequin romance novels. I want real literature. Send 1 or 2 book reviews if you please! Copy and paste all your submissions into the email and tell me which category you wish to publish under. For ARTWORK please attach images of art to the email. 3) Tell me where you are from...country/state so other readers can know where you come from, not because we plan to stalk you or anything! You will hear from us within 21 days with a decision. However, if you do not hear from us by then, please feel free to inquire as to the status of your submission! On whatever work you send, you give Pink. Girl. Ink. one-time publishing rights to the work. It will be published online (and in free downloadable PDF edition) and will remain in the archives section. You also give one-time publishing rights to publish your piece in a pdf/ebook edition of the magazine if we should wish to compile any issue of work in a downloadable book format...this will be for free, of course! The pdf/ebook edition will be free of charge. 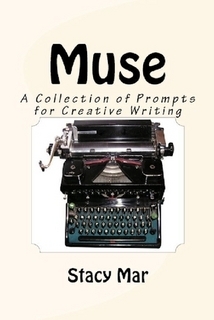 The Kindle download ebook edition will be free of charge. The print edition will be purchasable. All proceeds go to the blog and the upkeep of the blog. However, your work is always yours and you will retain the rights to your pieces. You can keep them, reprint them, and publish them anywhere else you wish, etc. Though if you publish them somewhere else, later on, it would be nice if you recommend and mention that the work was previously published here!